I’m a sucker for outdoor- parks and beaches especially. Plus, I love films. So you can imagine how much I love open-air cinemas. Ever since I ticked it off from “my list,” I can’t stop researching and waiting for the next open-air cinema schedule. 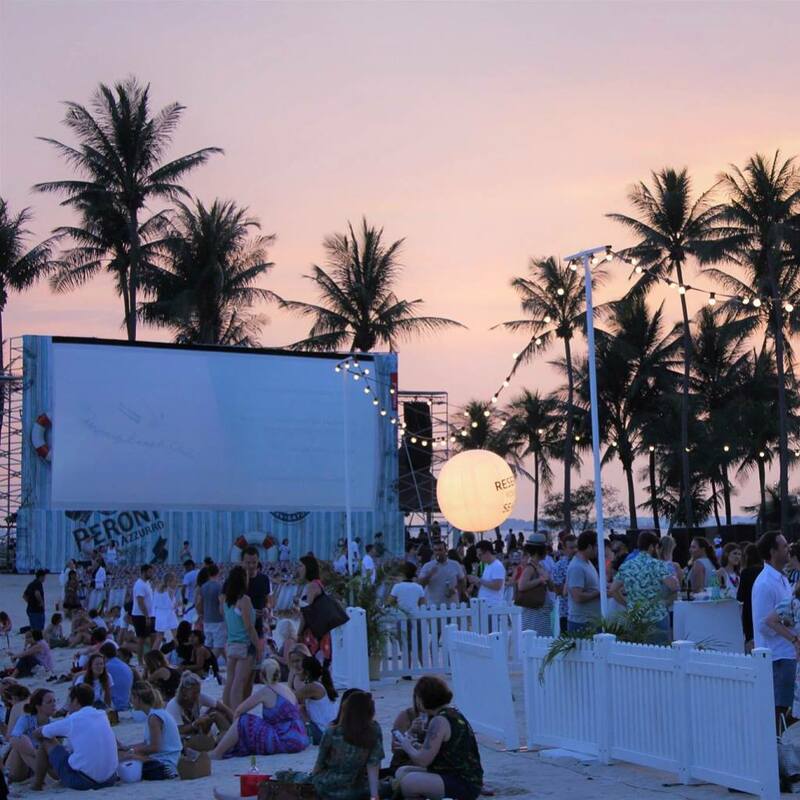 And it just got better when Singapore had the first Sunset Cinema in May! There are plenty of food for you to choose from, top it up with some wine or beer and the night is perfect! 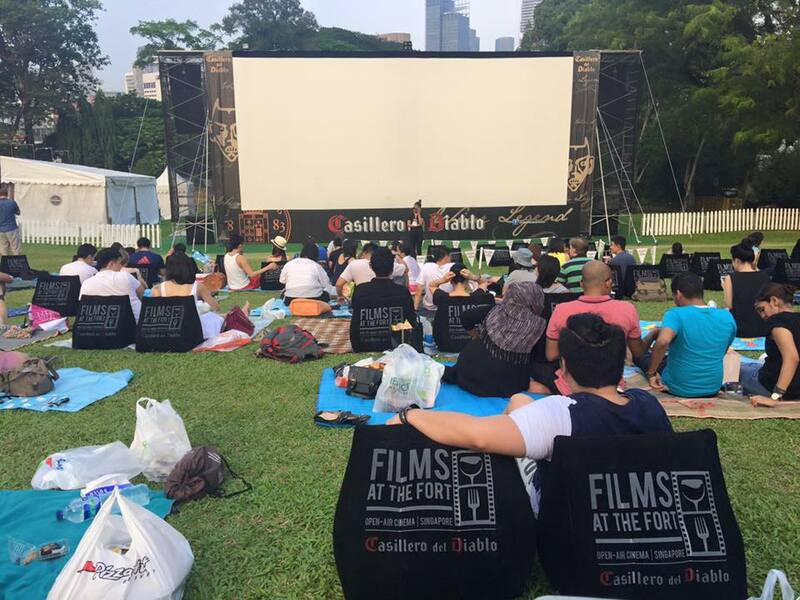 Instead of arriving right before the film starts, Sunset Cinema encouraged the film-goers to arrive early (gates open at 5pm) to catch up with friends while enjoying the pre-film ambience with a drink in one hand and a bite to eat in the other. As the sun sets, there were also a DJ and instrumentalists that spread the summer love from 5pm-7:30pm before the feature film begins at dusk (7:30pm). The DJ played over the normal speakers but for the feature film itself, the audio was broadcasted via a state of the art wireless headphones which every film-goer was issued upon entry. 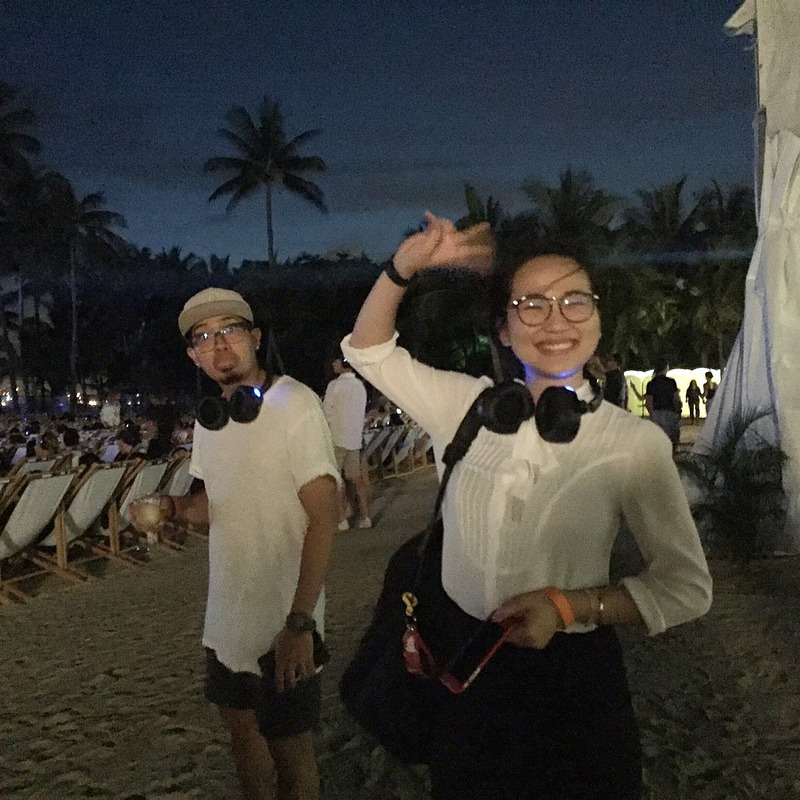 Those noise cancelling headphones enabled us to immerse ourselves in the film wherever we were in the area (queueing for food, seats, toilet) and allowed us to control our own volume. We didn’t miss a part at all or got annoyed with a talkative seatmate during the film! I just heard the news that the Films At The Fort will be back in August! Presented by Casillero del Diablo, it will be in the same spot as last year! 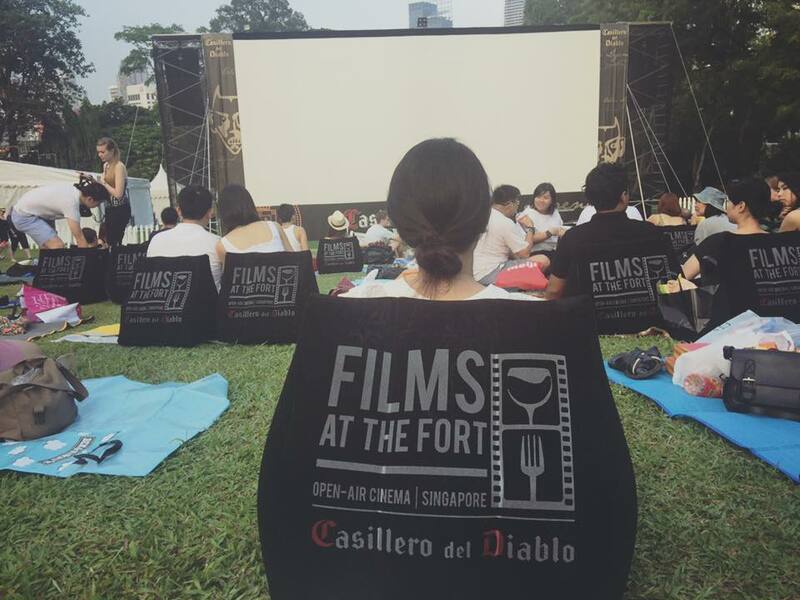 Films At The Fort is celebrating its 5th anniversary in the beautiful natural amphitheatre of Fort Canning Park from 3rd – 20th August. 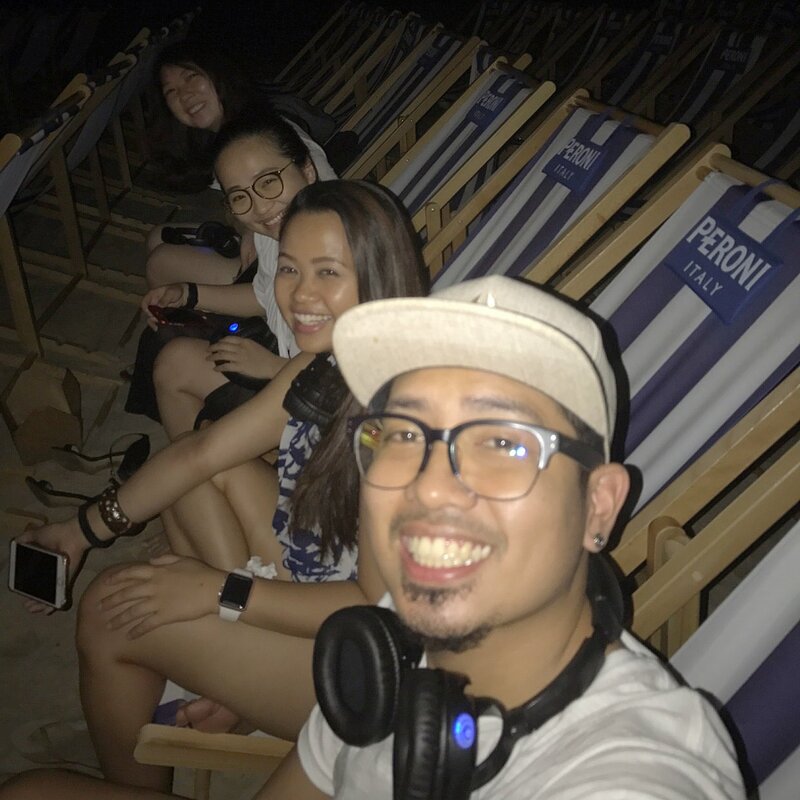 Truly, Singapore at its best – the perfect place to unwind with friends over a glass of wine, good food and an award winning film on a balmy night. 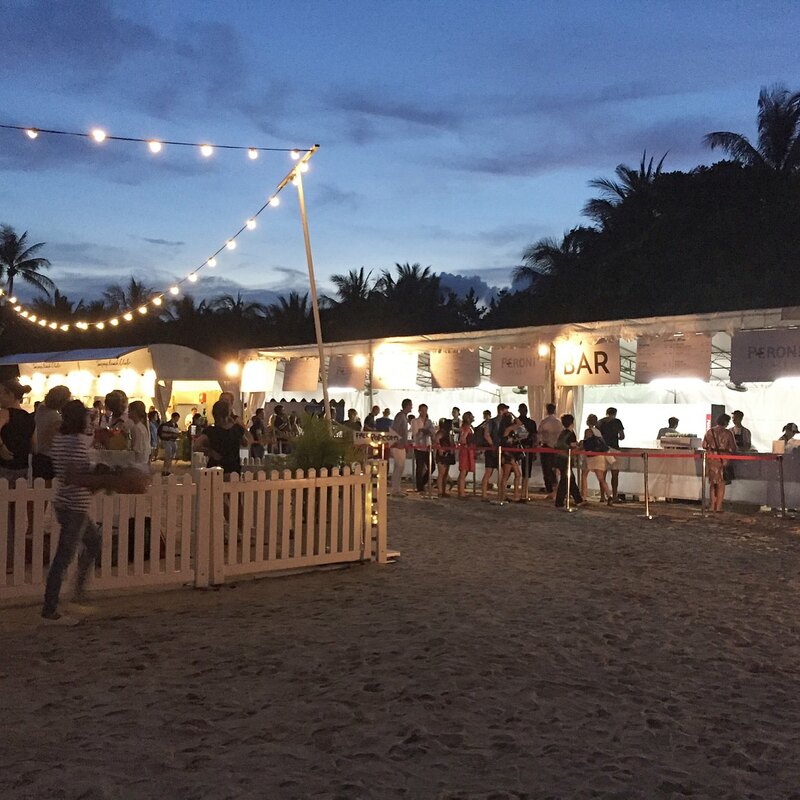 You can bring your own food, but you cannot bring your own alcohol and all bags will be checked for alcohol at the entrance. 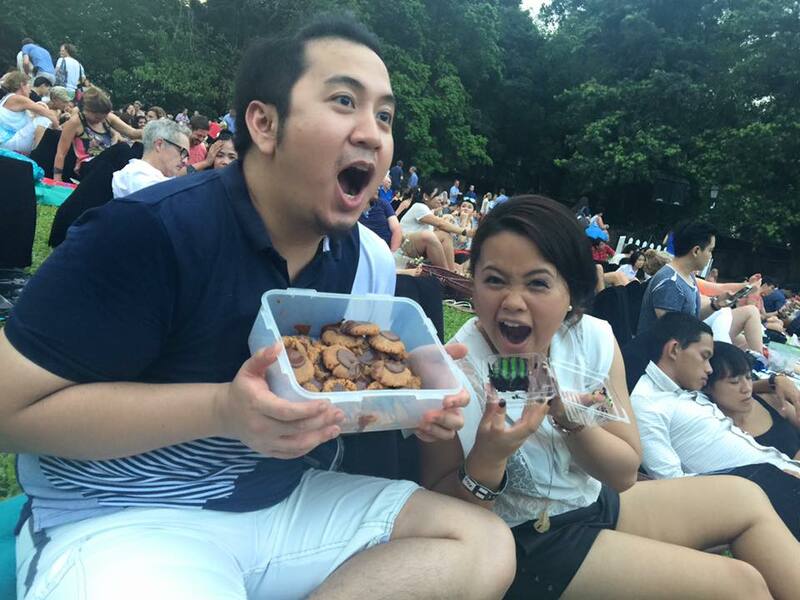 Our friends baked cookies and brought some chips last year (I miss you, Vee! Come back here!). There are also inflatable cushions (sit upright or layback) for sale at $14 and can be re-used after the event at the beach or park. Alternatively, you can bring your own cushions, blankets and rugs but out of respect for others, you are not permitted to bring folding chairs. This year’s film programme spans three weeks and includes a curated collection of new releases, premieres, cult classics and documentaries. One of my all-time favourite movies, “Lifes is Beautiful” will be shown and I can’t wait to watch it since the last time I’ve seen it was during my Cinematography class in college. So if you’re visiting Singapore this August (just like my very loved Ate/Ninang Zarah), check out their website and chill with the good wine and movie! You might find this FAQ useful, too!